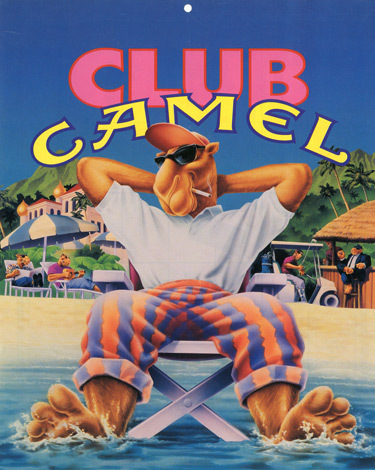 In a transparent effort to greatly increase their market share of young smokers, R.J. Reynolds initiated the now infamous Old Joe Camel campaign for the Camel brand in 1988. The campaign, which ran continuously for 9 years until 1997, featured a cool dromedary cartoon character and faced almost immediate criticism from the public for influencing children to smoke." -Stanford School of Medicine. "Stanford Research into the Impact of Tobacco Advertising"
Additionally, FOC ladies auxiliary members have visited children in West Virginia hospitals to give them a “special present“: Mr. Coal, “a small, black Labrador stuffed puppy meant to bring a smile to kids’ faces during hospital stays.” (Coal pollution kills 24,000 Americans each year.)"